To join global supply chains, in addition to efforts for higher product quality to meet international standards, companies still have many thorny issues to be addressed, for example, trade promotion, partner searching, cargo insurance, transportation and payment. 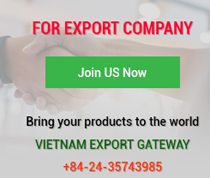 In that context, the Vietnam Export Forum 2018 titled “Promoting Vietnam's Linkages to Global Value Chains” is considered a passport for Vietnamese companies to engage in global supply chains in a comprehensive and effective way. The forum was hosted by the Vietnam Chamber of Commerce and Industry (VCCI) in cooperation with the American Chamber of Commerce in Ho Chi Minh City (AmCham HCM) and the Japanese Chamber of Commerce and Industry in Ho Chi Minh City (JCCH). 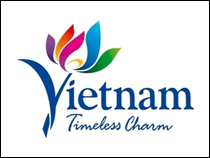 Addressing the opening ceremony, VCCI Vice President Vo Tan Thanh said, in recent years, exporters have played an increasingly important role in Vietnam's economic growth. In the first 10 months of 2018, the country's export value topped US$200.27 billion, an increase of 14.2 per cent year on year, and was estimated to reach US$240 billion in 2018, which is 10 - 12 per cent higher than that in 2017. On August 3, 2017, the Prime Minister issued Decision 1137/QD-TTg approving the Vietnam Export Competitiveness Improvement Project to 2020, with a vision to 2030. 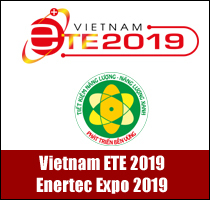 The project is designed to improve Vietnam’s export competitiveness on the international market, treble the 2010 export value in 2020, balance the trade in 2020 and have a trade surplus in the 2021 - 2030 period. In order to realise these targets, domestic businesses must be active in increasing their market shares, expanding their export markets, and engaging more deeply in global supply chains. 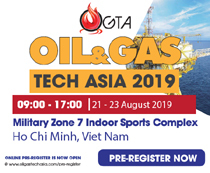 However, to engage in global supply chains, enterprises have to make comprehensive improvements, from production technology to facility modernisation to gradually raise product quality and competitiveness, Mr Thanh said. “In the supply chain, partners all have high demands for product quality and international standards. If failing to meet quality standards, businesses can hardly qualify for the supply chain. Apart from the quality, products must be diversified, reasonable and competitive in price and timely delivered to international partners who are very serious in business,” said the VCCI Vice President. Concurring with Mr Thanh, Mr Takimoto Koji, Chief Representative of the Japan External Trade Organisation in Ho Chi Minh City (JETRO HCM) and Vice Chairman of JCCH, said, the Vietnam Export Forum 2018 comes right in time, as the Comprehensive and Progressive Agreement for Trans-Pacific Partnership (CPTPP) will officially come into force in late December 2018. The disadvantage is only 21 per cent of SMEs in Vietnam are involved in global value chains, a lower rate than that of other countries in the region such as Thailand and Malaysia. Moreover, the competitiveness of companies is weak and their connectivity with transnational corporations in supply chains is limited. In this context, CPTPP will be a golden opportunity for Vietnamese enterprises to involve in global value chains by promoting key exports of Vietnam. Nevertheless, in order to make the best use of pact advantages, they must have thorough studies and preparations and actively change their business management perceptions, enhance technology transfer, train human resources and raise product productivity and quality. He recommended the sooner the CPTPP comes into effect, the more quickly they must take action. Also aiming to support Vietnamese exporters to sharpen their competitiveness and deepen their involvement in global value chains, representatives from Bee Logistics Corporation in Ho Chi Minh City, Baoviet Insurance Corporation and Vinacontrol Group also gave presentations on export support services such as insurance, goods inspection, logistics and business information. According to experts present at the forum, Vietnam can benefit more from global supply chains and, if it reaches a higher position in these value chains, it can attract a larger amount of foreign direct investment, thereby creating a stronger driving force for economic growth, sustainable poverty reduction and job creation. Particularly, deep involvement in global supply chains will also provide many opportunities for local suppliers and boost the presence of made-in-Vietnam goods on the international arena. Currently, 98 per cent of operational enterprises in Vietnam are small and medium in size. This means that the percentage of Vietnamese companies involved in global supply chains is very low. It can be seen that barriers to small and medium-sized enterprises (SMEs) in Vietnam in particular and in countries in general are backward machinery and technology, low-level human resources, weak productivity and product competitiveness. To help address difficulties and obstacles faced by SMEs, strengthen the connectivity with reputable partners, assist enterprises engaged in global value chains to reduce costs, the USAID Linkages for Small and Medium Enterprises (LinkSME) Project was launched. LinkSME is a five-year USAID-funded project carried out from September 2018 to September 2023, aiming to enhance Vietnamese SMEs’ capacity to join global value chains in five sectors and strengthen the supplier - buyer relationships between Vietnamese SMEs and multinationals located in Vietnam in targeted sectors and additional linkages outside of target sectors replicated. In the first two years (phase 1), LinkSME will facilitate transactions between linkage-ready Vietnamese SMEs and foreign firms located in Vietnam in the electronics and metal sectors. Beginning in September 2020, USAID LinkSME will focus on replication and scaling of Phase 1 pilot transactions within the electronics and metal sectors, and three additional sectors to be determined at the end of Phase 1. In the last year of the project, USAID LinkSME will apply lessons learned from Phases 1 and 2 to reduce major barriers limiting SME growth across Vietnam while continuing to facilitate SME - foreign firm transactions within the five sectors. By understanding national-level and firm-level constraints to SME - foreign firm linkage development, Phase 3 interventions will help institutionalise key reforms beyond the five selected sectors. 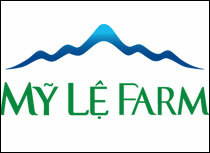 Vietnamese logistics companies are mainly medium, small and fragmented. Currently, they meet only 25 per cent of the country’s import and export transportation demand. The rest is covered by FDI firms. Due to their weak scale and capacity, logistics companies can handle a part of the closed logistics service chain. This is a minus point of Vietnamese logistics firms in the eyes of partners and customers. To deal with constraints and take part in global value chains, they need to understand and run logistics operations smoothly while focusing on improving their operating capacity to deliver inclusive logistics services in the closed supply chain. Then, they can not only meet higher and stricter demands from customers but they can also utilise business advantages to triumph over other competitors in the market. In the current context, importers and exporters need to access and use the Electronic Data Interchange (EDI) system to ensure their performances. At present, some large exporters and logistics companies in Vietnam have received requests for the delivery of documents related to commodity trades via EDI from foreign partners. Compared with traditional methods of email and fax, the EDI system helps enterprises save costs and manpower for commodity trading partners. Documents will be sent automatically from the EDI system of exporters to the EDI system of importers quickly, accurately without manual maneuvers. Foreign partners are aiming at this model to ensure transparency and economy. Once using this model, Vietnamese enterprises will save time, costs and have more international customers, thereby increasing opportunities to participate in global supply chains.